SCPD arrested Ralph Knowles of Dix Hills, 56, for driving with over 40 license suspensions. 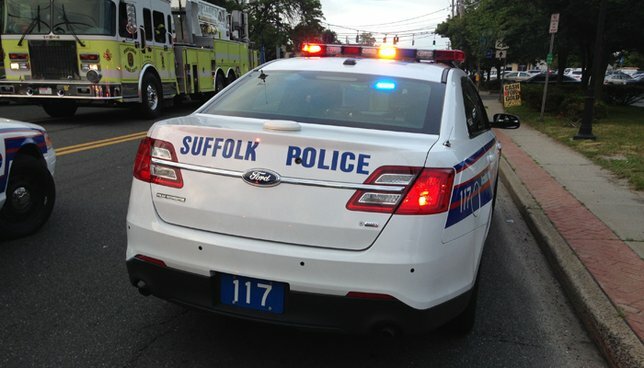 North Amityville, NY - June 29, 2018 - Suffolk County Police arrested a Dix Hills man for driving with more than 40 license suspensions in North Amityville on Friday, June 29. A First Precinct police officer observed a man driving a 2010 Dodge caravan westbound on Francine Avenue that failed to yield at the intersection of County Line Road at 1:43 p.m. The officer initiated a traffic stop and upon further investigation it was determined that the driver, Ralph Knowles, was driving with a license that had been suspended 49 times on 11 different dates. Knowles, 56, of Dix Hills, was charged with Aggravated Unlicensed Operation of a Motor Vehicle 1st Degree. He will be held overnight at the First Precinct and scheduled for arraignment at First District Court in Central Islip on June 30. Subject: LongIsland.com - Your Name sent you Article details of "Dix Hills Man Arrested for Driving with 49 License Suspensions, Cops Say"